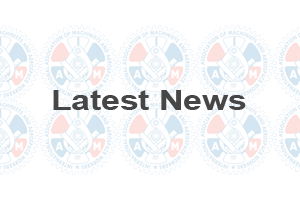 In accordance with the IAMAW Constitution, Victory Lodge 1725 will be accepting nominations and holding elections for delegates for the IAMAW 2016 Grand Lodge Convention to be held in Chicago, Illinois commencing on September 4, 2016. Nominations for the delegates will be held at the regular monthly meeting of Victory Lodge 1725 in April at the following date, time and location: Thursday April 14th , 2016, 8:00am,Victory Lodge 1725, 3727 Rose Lake Drive, Charlotte, N.C. 28217. Nominations will be accepted only from members in good standing of Local Lodge 1725. Nominees for delegates must be members of the Local Lodge for at least 1 year at the time of nomination and free from delinquency to the Local, District and Grand Lodges. Elections for the delegates will be held at the monthly meeting of Victory Lodge 1725 in May at the following date, time and location: Thursday May 12 th, 2016, 12:00pm,Victory Lodge 1725, 3727 Rose Lake Drive, Charlotte, N.C. 28217. Only members in good standing of Local Lodge 1725 will be permitted to vote in the elections. The nominees who receive the highest number of votes in descending order shall be declared elected as a 2016 Grand Lodge convention delegate. In accordance with the [AM Constitution, any member entitled to receive an absentee ballot shall make a written request to the Recording Secretary of Local Lodge 1725 no later than 30 days before the election.